The book which is the second volume in this particular series also happens to be Brown’s 45th book he has written in his collection, that focuses on telling the stories behind country music hit songs, and features even more exclusive interviews with some of the biggest songwriters in the country music industry today. 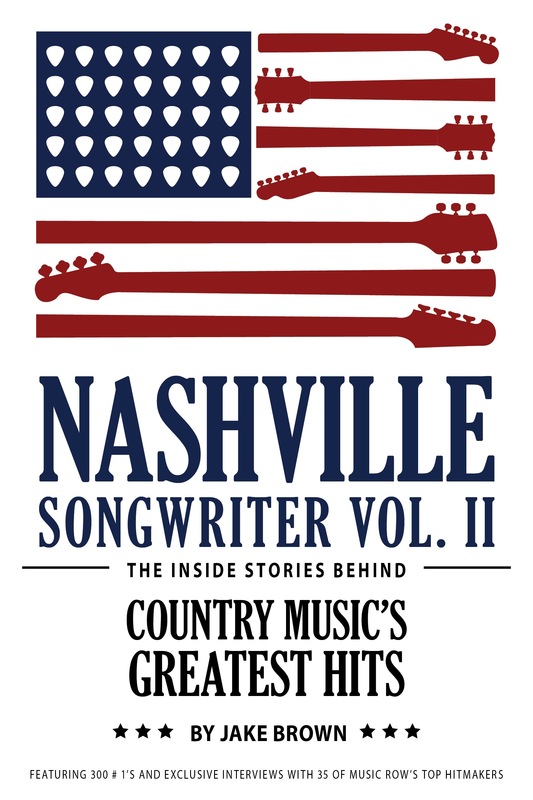 Some of the songwriters that are featured in the book include Hillary Lindsey, Shane McAnally, Rhett Akins, Lori McKenna, Luke Laird, Chris DeStefano, Ben Hayslip, Josh Osborne, Ashley Gorley and so many others. A variety of the songs that are talked about include country favorites from the past and today’s such as music from George Strait, Toby Keith, Taylor Swift, Carrie Underwood, Miranda Lambert, Keith Urban, Little Big Town and lots more! The beauty of this incredible book, is you get to read all about the stories behind so many timeless country music hits from the songwriters, that you might not have heard about anywhere else, along with learning more about the songwriters themselves. It gives a special and deserved spotlight to the songwriters, for they are who we have to thank for so many country music songs we will never forget. If you love reading about the behind-the-scenes in country music, then you will be sure to enjoy this amazing book by Jake Brown. As it captures the pureness of what country music is truly about, you will definitely be going to replay your favorite country music songs all over again. Be sure to order your copy of Jake Brown’s book, Nashville Songwriter Vol. II – The Inside Stories Behind Country Music’s Greatest Hits online on Amazon by clicking the link HERE. Have you heard of this book before? What do you think about it? I’d love to hear your thoughts, so leave me a comment below or on social media!